Blake Nicholls (16) from Geelong, Victoria has been playing Ultimate Frisbee for six years, starting playing in 2010 and in this time he has been selected to play for Victoria 2013 & 2015. During 2015 he was selected to play for Australia in the Trans-Tasman Cup against New Zealand in which Australia won. 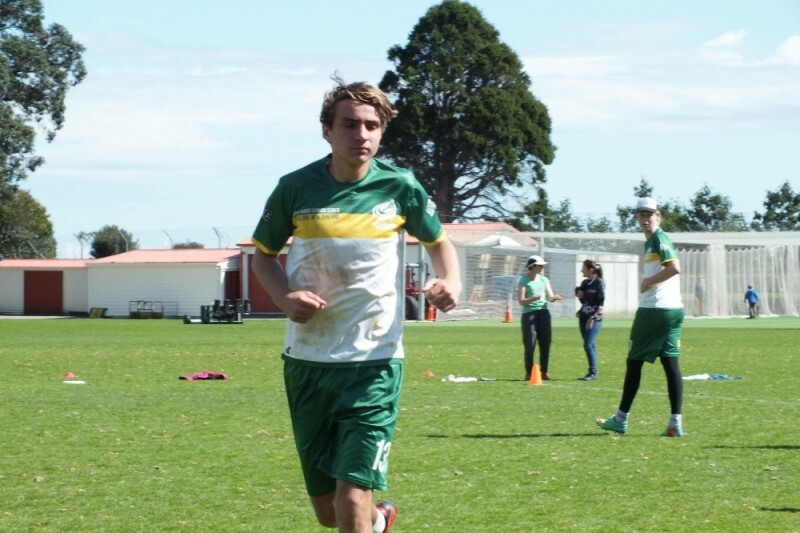 January 2016, Blake went to Melbourne for the four day Selection Camp for the Australian team to play in Poland at the World Junior Ultimate Championship, he made the first cut and then had to travel to Sydney for Camp No 2. Blake has now been named in the Australian Team, Thunder U20 Boys. I am asking for your help to get me to Poland in July-August 2016. The money donated will help me to accomplish my dream of playing for Australia at the World Junior Ultimate Championship in Wroclaw, Poland. The money is used for everything from flights, accommodation, uniforms, tournament fees and much more. Despite being recognised by the National Sporting Commission, the Australian Institute of Sport and the International Olympic Committee, Ultimate Frisbee currently receives no funding. So to be able to represent our country it is totally up to the team members to raise money to cover all costs. I've worked really hard on my fitness and skills to earn a position on the Australian Thunder team and am proud to represent our country doing the sport I love. All donations are gratefully accepted, nothing is too small. However, all exceedingly generous donations of over $50 will earn you a poscard from Poland from me. Please share this around with your friends and family to help my dream come true. Well, I fly out very soon! I've lowered my Goal to $4,600 due to some great work by Ultimate Australia and our team managers in raising funds for the team which has helped everyone going. I've also added all the 'offline donations' I've received over the past couple of months. Thanks so much for everyone's support! Good luck Blake. Just shows that hard work pays off.